I'm quite sure that most Heavy Planet readers are already well aware of Nebula. But since the band officially called it quits just over a year ago, I figure its high time (see what I did there?) they get their very own Flashback Friday feature. So if you're already familiar with this power trio who seamlessly blended 60's psychedelia, 70's riffage, 80's punk and 90's grunge into a cosmic concoction of stoner rock goodness, then this should be a fun little refresher course. For those of you not familiar with them…prepare to be enlightened. Nebula got their start back in 1997 when Eddie Glass (guitars/vocals) and Ruben Romano (drums) split from legendary SoCal stoner outfit Fu Manchu to explore their own musical direction. At that time, the Fu's had just released what was, in my personal opinion, their finest album, 1996's In Search Of…. Despite that fact, both Glass and Romano expressed personal and musical differences with Fu head honcho Scott Hill and ultimately decided to head out on their own. The duo teamed up with Mark Abshire (bass), himself a Fu Manchu vet, having played on the band's 1994 debut album No One Rides For Free, and alas Nebula was born. The newly formed band got right to work on what would become their first EP Let it Burn, which they released in 1998. The songs featured a much more fluid, jam-based, psychedelic sound than the straight up wall of fuzz that was Fu Manchu. And that sound would be expanded upon on two additional EP releases, Sun Creature and a split with fellow stoner rockers Lowrider, both of which were released in 1999. In 2002, both of these EPs would be combined with three new songs and re-released by MeteorCity Records under the name Dos EPs. Before eventual lineup changes began to occur, this original version of the band would also record two full length albums, their 1999 debut To the Center and its 2001 followup Charged. Both are considered by many to be staples in the stoner rock genre as they're chock full of big drums, even bigger riffs, roaring guitar solos, a shitload of feedback and Eddie Glass' super chill vocal style. But lest you think Nebula was just a studio sensation, I should mention that they were probably best known for their incessant touring, for being true road warriors and for flat out stealing the show from a very impressive roster of headliners. Just ask anyone who had an opportunity to see these guys how visceral the experience was. And the sheer number of shows they played was astounding! 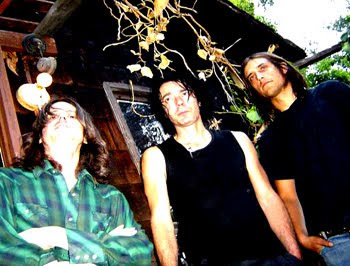 From the time of the band's formation in 1997 to the release of Charged in 2001, Nebula had played literally hundreds of shows, sharing the stage with a virtual who's who from the stoner rock, doom and grunge genres…including Clutch, Corrosion of Conformity, Sixty Watt Shaman, The Atomic Bitchwax, Mudhoney and Orange Goblin just to name a few. Prior to the release of their next album Atomic Ritual, Mark Abshire left the band and was replaced by Simon Moon on the bass. For Ritual, the band enlisted the services of desert rock legend Chris Goss for production duties and the results were fantastic. The album was praised by critics and fans alike, leaving Nebula with no other choice than to take the show back on the road. The Atomic Ritual tour again led to some impressive opening slots, none more notable than the Clutch/Mastodon tour of 2004 (a tour that also included Hidden Hand and Suplecs). That same year, the band experienced another lineup shift as Moon was replaced on the bass with self-described "English geezer" Tom Davies. 2006 saw the band release another full length album, Apollo, which still maintained the SoCal desert rock essence for which Nebula had become known, but also saw the band delving into more classic 70's rock territory. Gone was the heavy guitar crunch in favor of a more atmospheric sound. More touring followed (of course), including a high profile jaunt through Europe with The Sword. The following year saw the lineup changes continue, as drummer and founding member Ruben Romano left the band. Fortunately, Rob Oswald of Karma to Burn and Mondo Generator fame quickly stepped in to fill his seat and the new lineup did…what else…tour! Finally, in 2008 Nebula settled back into the studio to record what would ultimately be their final album, Heavy Psych. As the name suggests, this one saw the band delving heavily into psychedelic territory, not something they had altogether shunned in the past, but never their primary focus either. On the ensuing tour, by the time the band made it as far as Baltimore, Oswald had decided he'd had enough. Being true road warriors and absolutely refusing to cancel a show, Nebula contacted their buddy Adam Kriney that very night about filling in on drums for the rest of the tour. The drummer subsequently packed his kit into a U-Haul trailer and drove overnight from his home in New Jersey to meet the band for their show the very next evening. No less than 24 hours after losing their drummer, Nebula took the stage at The Black Cat in Washington DC as the headliners on a bill that included fellow stoners Naam and psyche rockers The Entrance Band. The date was August 25th, 2009…I know because I was there. As the band walked onstage, Tom Davies quickly informed the crowd of the situation…that instead of canceling the gig, they'd rather struggle through the five or six songs that their new drummer had spent all day (after driving all night) trying to learn, just to make sure their fans got to see what they'd paid to see. Kriney stuck with Nebula for the rest of the tour…the ultimate pinch hitter in music terms. In February 2010, the band introduced their new permanent drummer Jimmy Sweet, but no more than a month after that announcement, Nebula broke up. I have to say that I've seen more shows in my lifetime than I can even begin to recount and I can think of dozens that were unbelievable, unforgettable and just flat out amazing for various reasons. With that said, never have I seen anything like what I saw back in August of 2009 when Nebula took the stage with an unseasoned drummer…Eddie Glass literally coaching the man through the songs as the band played! That story should tell you all you need to know about Nebula. I'm grateful that I got to witness them in all their glory that one time…even if they were essentially a man down. If you haven't done so already, do yourself a favor and check out what was truly one of the hardest working bands in this genre we call stoner rock.